Thanks to everyone who helped at the April Fool Quiz and to those who supported it. A special thank you to our quizmaster, Stuart! The quiz was won by the 'Rostrop Rogues' and a splendid £189 was raised towards a sound system for the church. The Annual Parochial Church Meeting and the meeting for Election of Churchwardens were held on 18 April. Liz Murray was elected as churchwarden (again!! ), Ann Kennedy was elected as Deanery Synod representative and Carol Bennett, Nicholas Bennett, Ruth Eagle and Janet Goldsworthy were elected to the Parochial Church Council. There are still two vacancies on the PCC (and a vacancy for churchwarden!) so please have a word with a current member if you would like to know more. 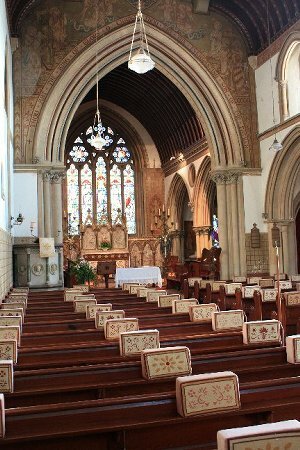 The Annual Parochial Church Meeting and Meeting for the Election of Churchwardens will be in church at 7 pm (not 7.30 pm as previously advertised) on 18 April, followed by a meeting of the newly elected Parochial Church Council.